The last time Mom was here for a visit, she made a pasta stir fry that was absolutely incredible. She just threw a bunch of stuff in a pan and tossed it all together and it tasted amazing! I have considered trying to do it myself, but wasn’t sure I could make it taste the same – or even close. But, decided to give it a try tonight. After making a call to be sure I remembered the spices correctly, I got the rest of the selected ingredients and came home to cook. 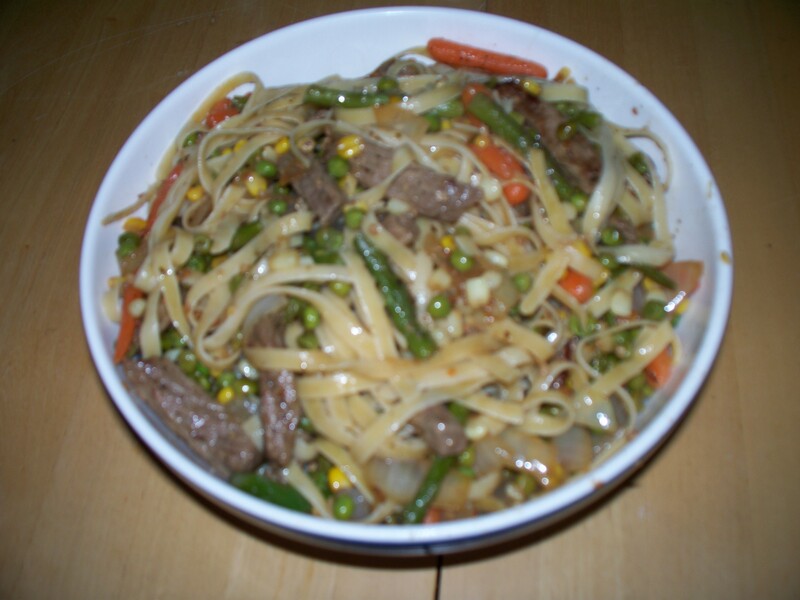 The variation I made tonight was with beef strips, linguine, and a mixture of corn, baby carrots, asparagus, and peas. I also used Italian Herb flavored roasted garlic. It was amazing and full of wonderful flavor! 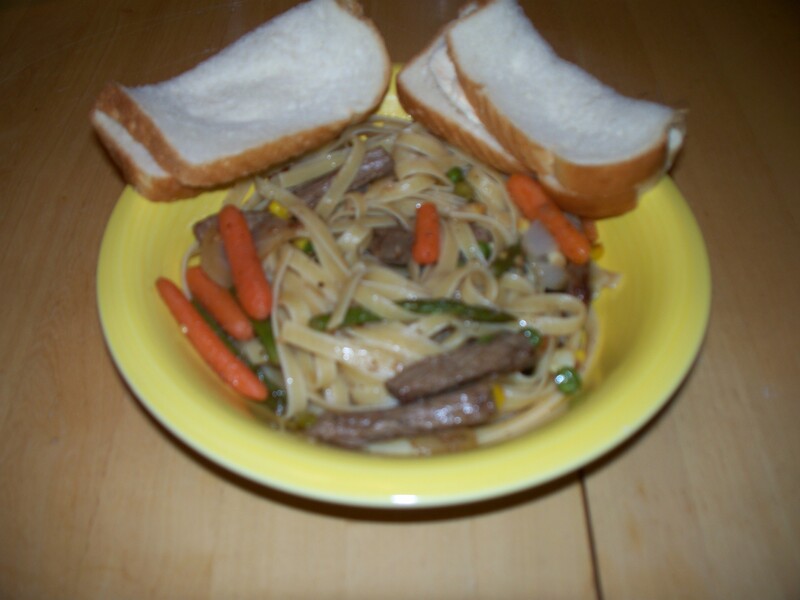 The only thing I would do different, if I ever use beef strips again, is to marinate it or something to tenderize is some – it was just a little chewy, but not bad!